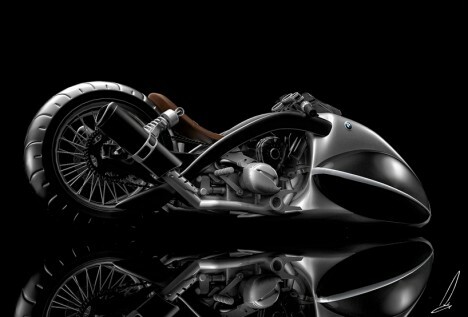 With their streamlined silhouettes, exposed mechanical parts, high-end detailing and powerful motors, these 15 modern motorcycle designs represent a new era of aesthetics in the industry, even when they’re customs built on the bases of classic bikes. 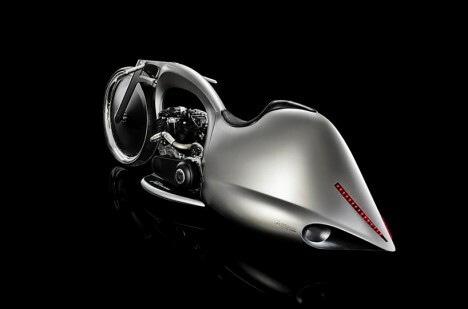 Looking unlike any motorcycle we’ve ever seen on the streets, the Akrapovic Full Moon motorcycle concept features a massive 30-inch aluminum and carbon front wheel and a sculpted, aerodynamic metal sheet frame that envelops the rear wheel. Hydraulic suspension keeps the bike upright when it’s parked, and automated steering keeps the handlebars looking sleek. 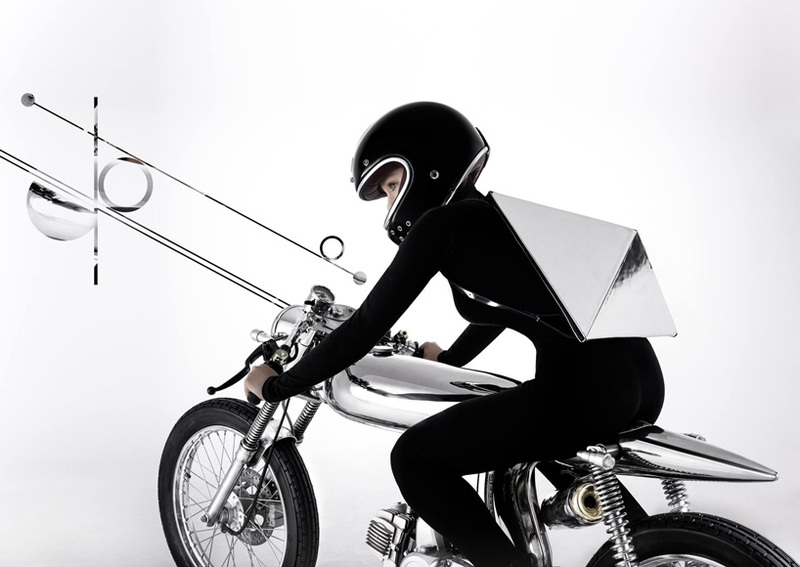 A combination of traditional styling and futuristic looks keeps this concept by industrial designer Mehmet Doruk Erdem firmly rooted within the BMW brand, while bringing it into this century and beyond. 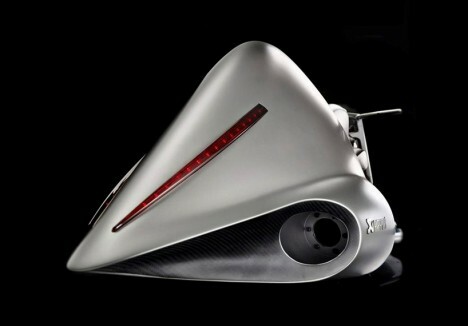 Designed for speed rather than everyday use, the Apollo Streamliner features a pointed front end to reduce wind drag on the rider. 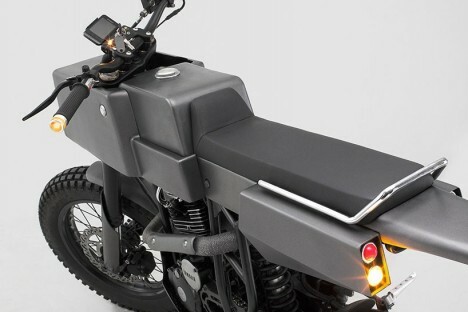 In contrast to the sleeker curvilinear designs, the Thrive Motorcycle T005 Cross goes for a chunky rectilinear look. 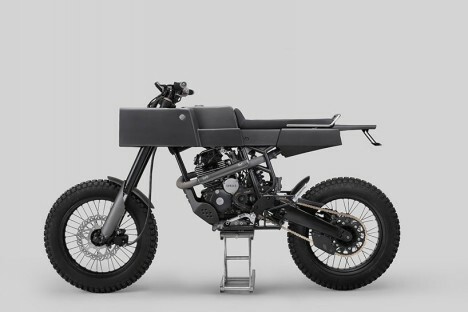 The whole thing is actually a modified 1984 Yamaha – the designers stripped it down, fitted it with off-road tires and added a custom body made of sheet aluminum, updated for the modern era with a smartphone slot. 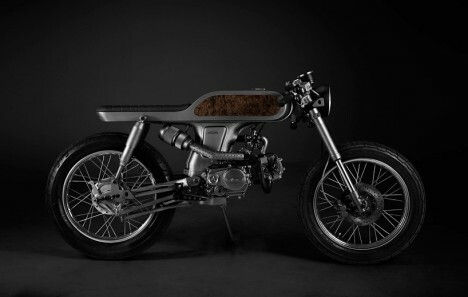 Another custom modification takes a Honda Supersport and transforms it into a minimalist design enthusiast’s dream, with wood burl side panels contrasting with the steel unibody. 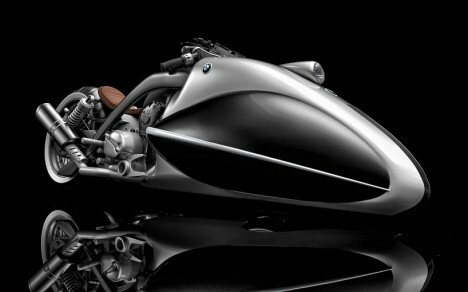 Bandit9 released only nine models of this bike, with a 90cc or 125cc engine. 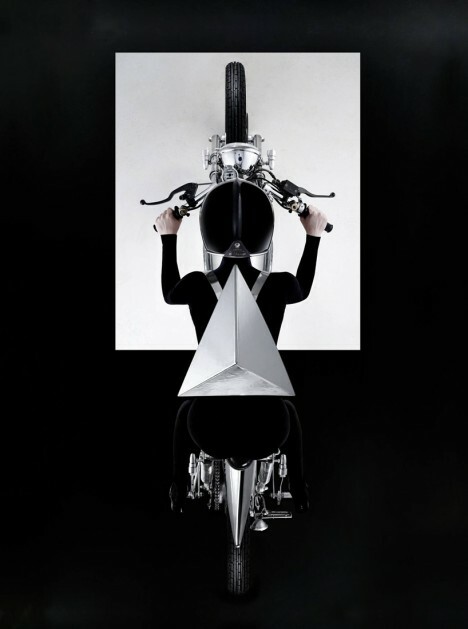 Bandit9 also used a 1967 Honda SS bike as the basis of a custom design, pairing it with fashions from Konstantin Kofta in this editorial for a futuristic effect. 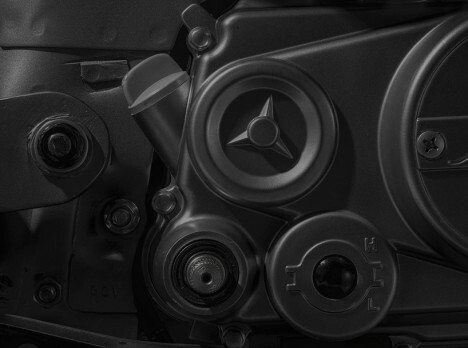 The bullet-like chrome-finished unibody puts the focus on the exposed mechanical parts.